WOW! Can Using Twitter Really Do that for Me? Can using Twitter really help my business? Is it worth the investment of my time each day? How much can interacting with strangers really help? How do I possibly measure Return on Investment (ROI)? All legitimate questions that get asked everyday by people considering the entry into the social foray so prevalent today. I believe there are some compounding reasons why you should jump in with both feet to the Twitter world and start “Tweeting” today. The 1990’s saw the technology explosion on many of the everyday items we all use today. Cell phones became mainstream and affordable for the general public. Wide screen TV’s began to appear in homes of people other than the super wealthy. The space shuttle became an expected occurrence every 3 months or so. The personal computer was accepted as a necessity. There are too many of these examples to note here but you get the picture. Technologies are constantly changing the way we live our lives and operate our businesses. Twitter was launched in July 2006 by Jack Dorsey and has expanded today to have more than 200 million worldwide users and produces more than 65 million “tweets” per day. Twitter has developed into a platform that allows anyone to interact on a personal level with any other user. No other place in society allows for the ease of communicating between two people, regardless of where they live or what they do for a living. For example, a school child in Australia could in theory communicate with the President of the United States by simply entering his name and performing a search to find his Twitter user name and then send an “@name” message. This accessibility component is exactly why every business and every business professional should be using Twitter and other social sites to grow their reach. There is no other media available which makes it as easy and simple to reach millions of potential customers at the push of a button. You are able to post links to blogs like this one, discuss your products or field of expertise, share personal thoughts on other subjects, and make yourself available for further discussions on the topics. It’s the interaction with others that makes Twitter such a powerful business tool. Today’s executives who make purchase decisions do not regularly take the “cold call” from the 90’s anymore. They are under time and budget constraints and know what they need. When they need it, they contact an “expert” or “authority” on the service and buy it. To quote Alec Baldwin in the 1992 version of Glenngarry Glen Ross “they walk on the lot, looking to buy”. The goal here is to get that executive to walk onto YOUR lot and buy YOUR service. Twitter is a means to help make that happen. The use of Twitter does many things which improve your chances of landing a sale or gaining a new customer. Everytime your name hits the web, it’s another landing spot for the “spiders” or “bots” that Google and Bing have scouring the internet for topics. The more your name is associated with a product or key word phrase, the higher your name will appear in the search engines. And the higher you appear in the search engines, the more likely you are to be perceived as an “expert” and have your lot chosen to sell the product. Getting results using Twitter doesn’t happen overnight. It can take months or even years before you attain the type and size of following necessary to get results, but be patient, it WILL happen if you keep at it. Before you know it, you’ll be getting “@” messages from people inquiring about your services. Keep track of these and record any actual sales you make from them. ROI is easy to determine by doing this and once you get going, you’ll see Twitter can be a real winner and indispensible tool for your business or brand. 1. Keep the conversation informational -- nobody likes a constant sales pitch. An occasional plug is OK and basic discussions on the benefits of your product line in general are fine. 3. Try and reference your source of information whenever possible – insert a link or hyperlink to the site where you found your supporting info. 4. Be consistent – in order to be successful, you need to be perceived as regular user. That means making an effort each day (yes, Saturdays & Sundays too) to “Tweet”. Often you’ll reach an entirely different audience on weekends and nights. I’ve taken the two hours per day I used to block out for cold calling and now use them to develop my social presence. It has a much better return on my efforts. Have some other ideas? Let’s discuss and see what we can come up with to help everyone get the most out of Twitter……..
Cellular Billing?- Expect Over $600 Billion of It by 2013! Cellular billing? Who would have thought 30 years ago it would be the next generation of payment method for internet sales? When I got my first cellular phone in the 1980’s, it looked like an over-sized 8-track tape (remember those?) with an antenna. The battery lasted about 2 hours and calls were over $1 per minute. The next improvement in cell technology was the “bag phone”. Those were the ones you carried around in a small leather bag, with a cigarette lighter plug for power. Fast forward today to the smart phones and unlimited call time we see, and we’ve embarked on an entirely new generation of technology. It’s just a natural progression that the next step for smart phone applications would be for the device to become an actual method of payment for the purchases the phone browsers allow us to make on the internet. No longer do we have to fiddle with our wallets or purses, looking for that elusive credit or debit card. Internet merchants now have the opportunity to add a direct cellular billing option to their checkout pages. Below is an example of the screen shots the customer will see when using the cellular payment option. And the purchase it completed. The customer receives a confirmation and is automatically redirected back to the Merchant. No fooling with expiration dates, CSV’s, or any other information. Nice, fast, simple, and secure. The billing clearinghouse collects the money from the cell ular companies, deducts it's fees and then ACH's the balance to the merchant's bank account. Before the creation of direct cell phone billing, a lot of options were tried with limited success. There were programs that asked identity questions, asking questions like year of birth, month of birth, last 4 digits of your social security number, zip code, etc. 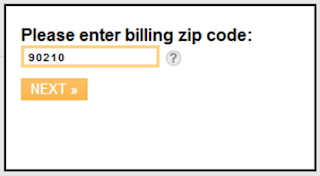 This would generate a credit type search for an individual and if located, would generate a direct bill. This worked OK but was very expensive for the merchants, paying postage and printing costs with limited collection return. there were also lots of credits and people denying they ever ordered the services. Then there were the “Premium SMS” programs where a merchant would send a text message to a consumer’s cell phone for a certain amount of money. These were processed via short codes and were expensive and time consuming to create. And the cellular companies kept ~45% of the sale! Not a great return on the dollar. Paypal emerged as an option but it still requires linking a credit or debit card to open the account. After that you can deposit funds into Paypal but then you’re tying up your money, in anticipation of going shopping later. Not a great budget plan…..
It’s my opinion that the cell phone billing option is here to stay and will be as big a hit with consumers in the United States as it has been in Europe. Cellular billing is widely accepted across Europe and Asia and according to Wikipedia, the total world-wide mobile billing market will exceed $600 Billion annually by 2013. The Salesperson turns in the big contract, the account gets implemented by the Order group and then is handed over to the Customer Service team to monitor and cultivate; the Operation staff maintains the product line, IT monitors the functionality of the platforms, and Finance processes the revenues. So who owns the Customer? The Company will tell you the “Company” does. This position certainly has merits as all the above sections of a corporation work together to form the core of the “Company”. Since everyone draws a paycheck from the “Company”, at first glance I would tend to agree. However, here’s the million dollar question … since it is the customer’s existence which drives revenues for the company, the real answer to this question lies within “who does the Customer believe their business belongs to”? suddenly went blank, I’m sure we’d all be on the phone to Sony ASAP. You wouldn’t try and contact the sales clerk who rang in the sale at Target. You’d Google or Bing “Sony TV repairs” and you’d be on your way. Now let’s look at another product: your car. I know when I buy a car, I hold the salesperson from the dealership responsible for that vehicle until I sell or trade it. If my car breaks down, I call the salesperson who 99% of the time will gladly take your call and arrange for service and in most cases, a replacement car while your’s is in the shop. This is an example of taking ownership and “farming” your account base. Take care of your customer and when your customer wants to buy additional services (in this case, a new car) they’ll more than likely call you. In this example, it is the salesperson who owns the Customer. Many car salesmen will change dealerships and even brands throughout the years, but maintain their repeat customer base as they move because of the service they provide to their customers. Underappreciate your existing base, and they will surely go to your competition when the time to buy additional service or product rolls around. Another example in my life experience is dentists. I have a dental hygienist who I’ve been using for more than 20 years. She’s worked with at least 4 different dentists throughout the years and each time she’s moved, I’ve gone with her to the new dentist. It really had nothing to do with the quality of the dentist or support staffs they had, I simply like the hygienist and wanted to stay with her. As she had a sizable following like myself who would move with her, she brought value to her new positions and was able to negotiate improved employment packages with each change. In this case, the hygienist (I liken her to an operations staff employee), not the dentist, owns the customer. Over the years, how many times have we seen employees move from one company to another, and had to sit idly by as our customer base followed the former employee? Companies know this too; that’s why “non-compete” clauses are often built into employment contracts. The point of this discussion is to always remember, each and everyone of us like to think we made a good decision when buying a product or a service. The difference is when we buy a tangible product like a toaster, we equate the product to the company. When we buy a service or a service prone product (like a car or dental services), we equate the service to a person. And people buy from people they like. That person is not necessarily in a particular role within a company. Sometimes it may be the salesperson, sometimes it could be the Customer Service rep, or the IT staff member. It really depends on the customer’s needs and the amount of interaction they have with the person in a particular role. If you take nothing else from this post, remember the next time you are speaking to an existing client or a potential prospect, you only get one chance to earn their confidence. Lose it, and you will most likely lose either a sale, or even worse, an existing client. Take the time to think of how the customer will react to what you are about to tell them, consider all possible reactions, and proceed accordingly. Treating the customers so they feel their business always comes first is a crucial step to building your reputation as a professional. Whether you’re in sales, or finance, IT, customer service, or any other aspect of a company, the needs and potential reactions of the customer should always be considered first. Ultimately, it's my opinion, regardless of your position within the company, if you do your best to make the customer feel their business is welcomed and applauded by the company, they will be a loyal and long term client. If they feel like they are only a number, they will most likely either not buy from you or your company at all or they will remain a client for only a short period of time, until a more likeable personality comes across their professional path. As this is only my opinion, I enjoy sharing any experiences any of my readers have had along these lines. I welcome any comments or suggestions on the topic. So, who do YOU think owns the Customer?